Kindred Combination RH 20 Ga sink 3 hole drilling - 20-1/2" X 31-1/4" X 8"
Combination bowl 20 gauge stainless steel topmount sink. Small bowl, right hand position. Includes faucet ledge with 3 one faucet hole drilling. Rear drains to allow for more storage below, easy care satin finished bowls . Sink is shipped complete with one CA1W colander and waste fittings and is backed with a Limited Lifetime Warranty. Double bowl undermount 20 gauge sink. Sink features hard wearing satin finished bowls, sparkling mirror finished rim, Spillway<sup></sup> partition to prevent water on the countertop, and included waste fittings. Rear drain position affords more storage below the counter. Quality assured with the standard Kindred Limited Lifetime warranty. 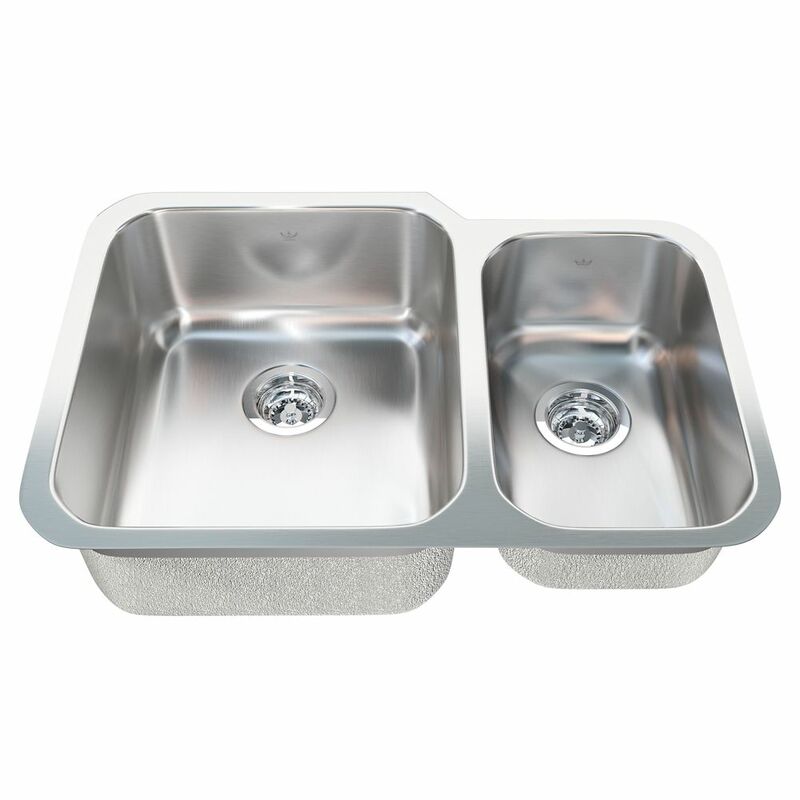 Combination RH UM 20 Ga sink - 19-3/4" X 28-7/8" X 8" Compact two bowl undermount 20 gauge sink with small bowl right hand position. Sink features hard wearing satin finished bowls, sparkling mirror finished rim, and included waste fittings. Rear drain positions affords more storage below the counter. Quality assured with the standard Kindred Limited Lifetime warranty.